Silvia Zennaro ITA was the premature winner in the Lasers Radial before the Medal Race, sailed in a fresh breeze. In the fight for Silver and Bronze, the Medal Race winner Ecem Güzel TUR moved up on the 2nd place ahead of Nazli Donertas TUR on 3rd. 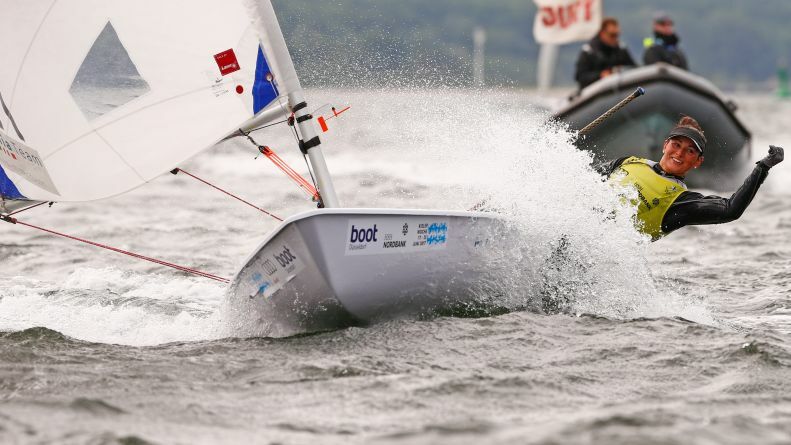 A 4th place in the Laser Standard Medal Race was good enough for Francesco Marrai ITA to replace the leading Karl-Martin Rammö EST on rank 1. Jack Wetherell GBR, winner of the Medal Race, advanced on the 3rd place.